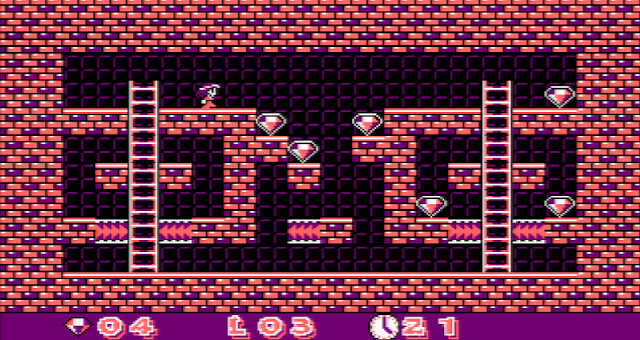 Indie Retro News: Jewel Warehouse - EgoTrip's latest Amstrad game has Jewels and traps! 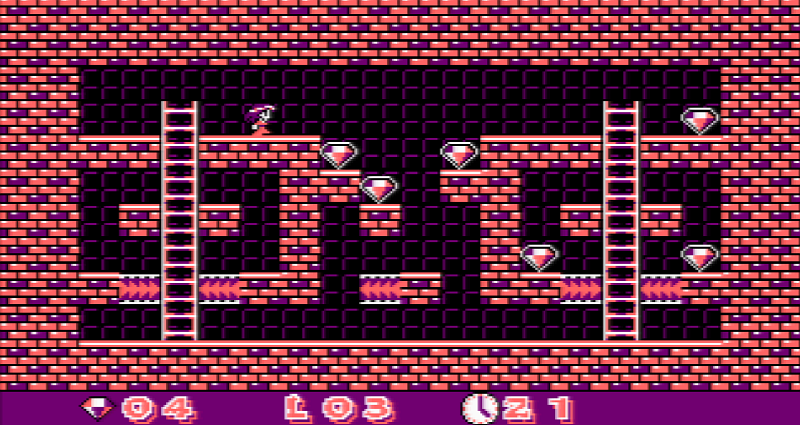 Jewel Warehouse - EgoTrip's latest Amstrad game has Jewels and traps! Another homebrew this week and it's nether a C64 game or a ZX Spectrum one, but it's an Amstrad game developed via CPCtelera! 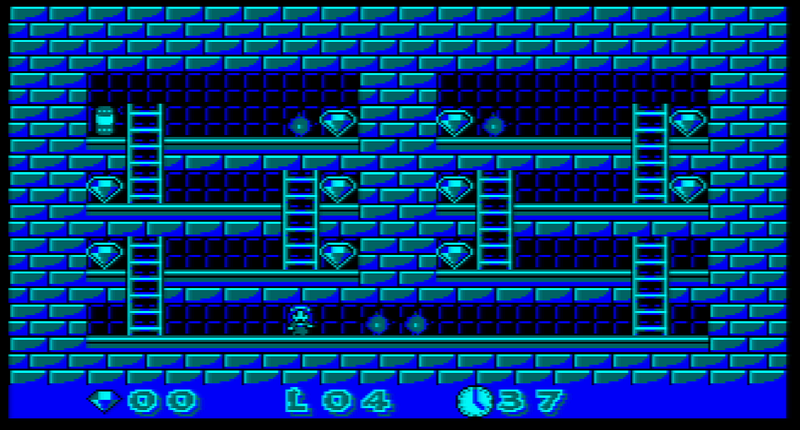 Oh yes after a lack of Amstrad goodness, EgoTrip was on hand with his latest puzzler ' Jewel Warehouse '. that is available to download today! In this rather challenging release, you play as Amy and must collect all the power crystals before the Cyborg Queen's arrival. But as is always the case, it wont be easy, as this Warehouse is a bit of a mess, some parts are on fire, and strange creatures have appeared! So all you have to do is collect the Jewels(power crystals) scattered throughout the game and the door opens for you to leave and onto the next area. Sound simple? No chance! As each level progresses it becomes ever harder with traps, fires, further ladders to climb, and moving platforms that really make you think what is the best way to get to that next Jewel before the time runs out. Overall a nice game if you like puzzle games, and it has music, but it would be nice to see better graphics being shown from the good old Amstrad. There are 10 jewels on each screen, plus a bonus jewel if you complete the screen with more than 10 seconds remaining. Get all 462 jewels to complete the game. Controls are AZNM / Cursor Keys / Joystick to move, Space or Fire to activate items. P to pause, ESC to quit.